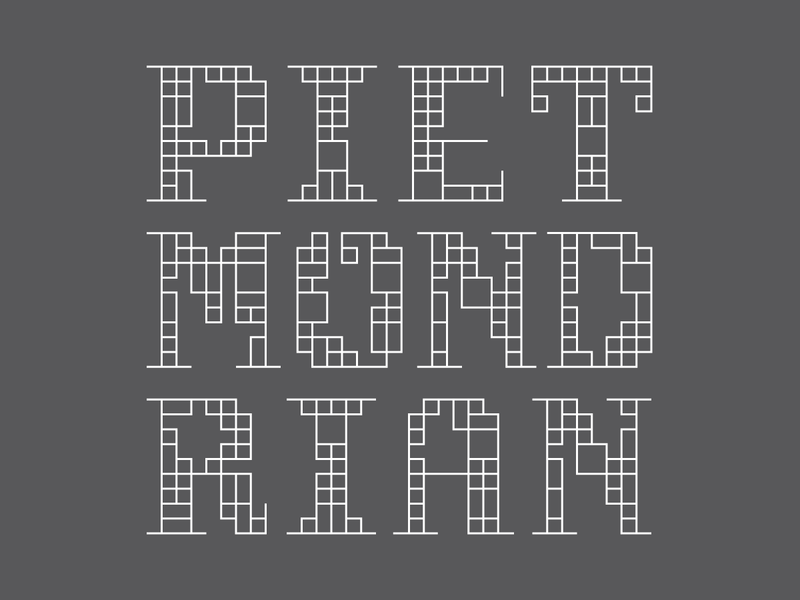 The alphabet I designed for the 2017 edition of #36daysoftype on Instagram was inspired by Piet Mondrian’s geometric paintings, and instead of doing an entirely different character for each day, the whole alphabet is related. Creating this alphabet was like solving a daily puzzle for 36 days. After posting the first three characters, I added a version with white outlines on a dark gray background which often garnered more response than the color versions. 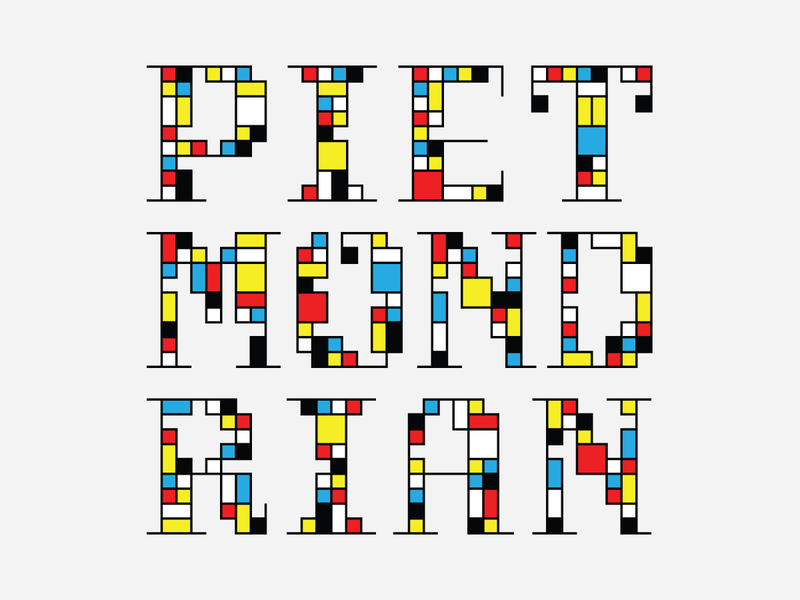 After completing the project, I designed a typographic poster using the Mondrian alphabet spelling out Piet Mondrian’s name. The complete project is on my Behance.net page. The project can also be viewed on my Instagram page.